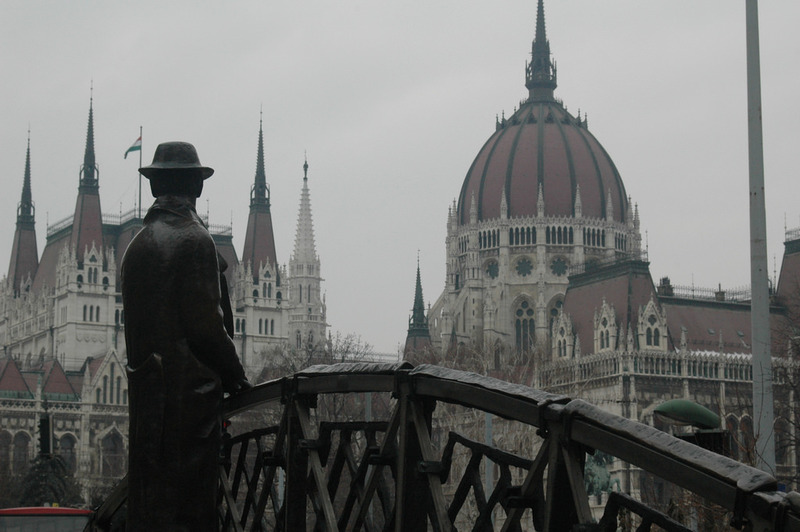 It’s easy to miss the life-sized statue of Imre Nagy as you take in the Hungarian Parliament Building. But Nagy is one of Hungary’s most significant historical figures. You can’t say you understand this country until you’ve had a look. The Hungarian Revolution isn’t as famous as the Prague Spring, but is just as important in Cold War history. Taking place twelve years before Prague, it saw a failed uprising against the pro-Soviet government in Budapest. The uprising temporarily launched Imre Nagy to power, at the head of a more independent government. But when the revolution was crushed, Nagy was arrested and eventually executed. Now for many Hungarians Nagy is an icon of the country’s freedom. But he died long before the end of the Cold War. Placing his statue halfway across the bridge, looking towards Parliament, symbolises that he took Hungary halfway to freedom. Understated but powerful, the statue has to feature on any trip to the Parliament building here. Where the Parliament building is gigantic and ornate, Nagy is small and plain. He doesn’t loom over you, but just watches pensively. Where Parliament has the classical majesty of an established democracy, Nagy reminds you that Hungary took a rough road to get there.